Did I ever tell you I went looking for Bolaji Badejo? The man who was in the suit for the original "ALIEN"? Well, I did. I never found him. It was my first ever pitch to Geek Monthly and ended up as "Elegy For The Men In Suits", centered around Ben Chapman. But I STILL want to find him someday. Rumor and legend have it that he's just a nice small town bloke who got down to the business of living after the film. But I did find someone else, a man named Martin Bower. I don't know how I found his name, I just did while digging around on the internet. I emailed him to ask him if he knew how to contact Badejo. And like an ignorant wretch, I had no idea who he was initially. I mean, looking back I can put two and two together. As something of an "ALIEN" buff, I knew the main model maker was an English man named Martin, but it just never crossed my mind that that's who I was speaking with. So we started communicating via email. He was extremely polite, we chatted about lots of things. 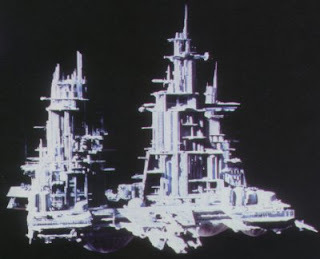 Then I realized one day that he was the HUGELY famous modelmaker responsible for the Nostromo in ALIEN, as well as a blue million other classic sci fi models like the original "Tripods" from the BBC "War of the Worlds". He even sent me a load of pictures of his models, his home, and the time RAY HARRYHAUSEN came to visit. None of which I feel comfortable sharing, but I assure you, they are amazing. Think of one of your biggest idols, someone who was responsible for a great artifact of your childhood...like the ship builder from "Goonies" or the guy who made the "Millenium Falcon", now imagine if you two were emailing and he was showing you pictures from his family album. This brings me to a larger point. It's wonderful to be a geek. It really is. We really do have ALL the fun. In my case, my complete social ignorance kept me relaxed enough not to freak out. If I was all cool and yuppie, I probably would've been like, "Fna fna, I'll have my people call his people." Instead, we just got to talk like normal people. Nothing pretentious, just chatting. Our shared love of pop culture, and its various niches, allows us geeks to connect with people that we technically shouldn't be able to. He had every right to tell me to bugger off...I was some piddly little freelance writer asking for him to help me get to someone else. But he treated me with respect, we even sort of made friends...he shared his family pictures with me. All because we shared a HUGE love of all things science-fiction. That same type of phenomenon keeps happening to me. People who I think are so cool that they're in the stratosphere are talking to me like it's no big deal. And it's not! 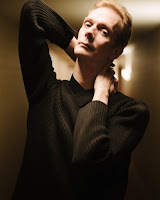 (See: My total freak-out over Doug Jones.) And I'm starting to feel comfortable with that. Because geekdom is a ticket that can get you across all kinds of barriers where prejudice normally stands...income, success level, gender, and velvet ropes, both real and imaginary.